we‘re playing Barcelona and Madrid in February! We‘re playing our 100th live show on Friday January 25th! After 99 concerts (nearly) all across Europe we‘re coming back to where it all started! To the famous Café Irrlicht in Schopfheim. Beside us ScheisseDieBullen from Freiburg and Schopfheim’s No. 1 Feeding The Horse will enter the stage. In February we‘re taking off to play our first shows on the Iberian Peninsula. 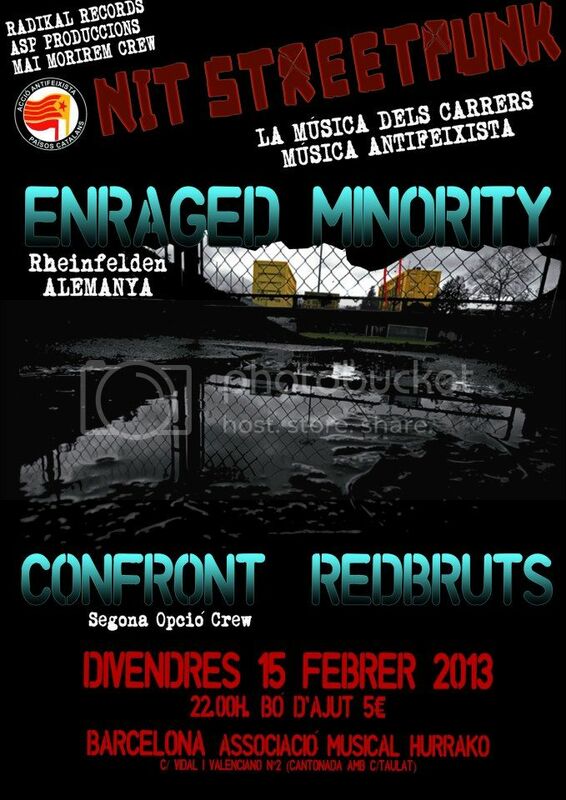 On Friday February 15th we‘re playing in Barcelona with the local heros of Confront. 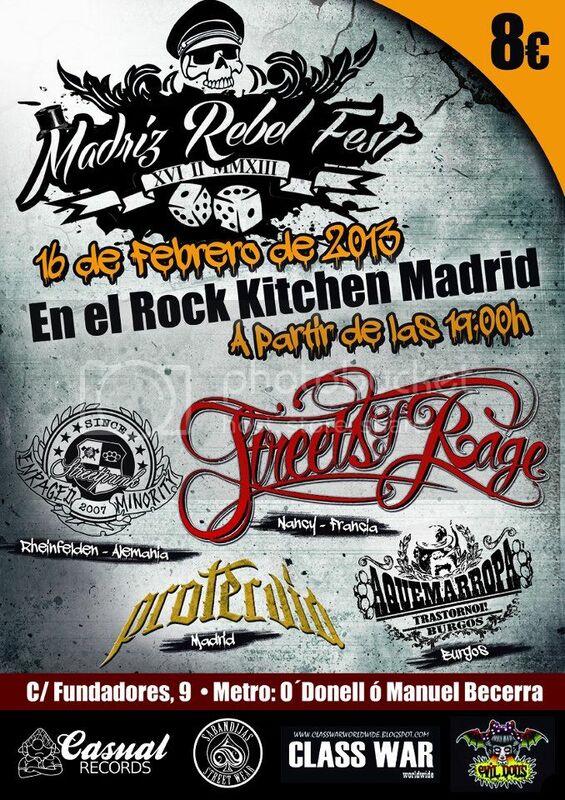 The next day, on Saturday February 16th we‘re playing at the Madriz Rebel Fest with Streets Of Rage, A Quemarropa and Protervia in Madrid! p.s. Have you seen the video of our East Europe tour in Sept. and Oct. 2012? The 100th ENRAGED MINORITY live show! After our 5th birthday in autumn 2012, we‘ll celebrate our next jubilee on Friday 25th January: The 100th Enraged Minority live show! 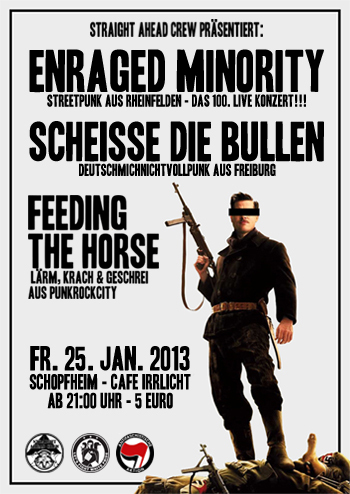 It will take place in the Café Irrlicht in Schopfheim with Scheisse Die Bullen from Freiburg and the local band Feeding The Horse. Du browst gerade in den ENRAGED MINORITY Weblog-Archiven nach dem Monat Januar 2013.